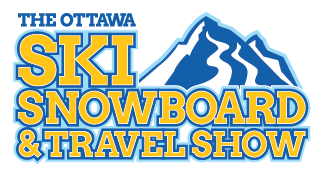 The Used Equipment Sale gives skiers the chance to convert pre-loved equipment into cash! Drop-off of items to be sold is at any KUNSTADT SPORTS retail location from Monday October 14th to Thursday Oct 17th during regular retail hours. You may also drop off at the EY Centre (Hall 4) on Friday October 18 from noon to 7 pm. Kunstadt staff will assist with pricing (and will transport the item to the show if dropped at a retail location). Used Equipment Area 10:00 a.m. – 5:00 p.m. If you are a new skier looking for an inexpensive way to start skiing don’t miss the Used Sale! Sales of used equipment are on a cash only basis. ATM’s are located within the ski show venue. There is a $2 non-refundable tagging fee for registering each equipment item i.e. $2 for a pair of boots, $2 for a pair of skis etc. If the item does not sell the tagging fee is retained. You keep 70 % of what the items sell for; you benefit from an energetic selling staff which can get you the right price; and you don’t have to spend money on advertising -this is definitely the way to sell older equipment. Registration is limited to twenty (20) items per person maximum unless special arrangements are made. Other items may be sold at the discretion of the Show. The Show reserves the right not to accept certain items. YOU MUST KEEP YOUR REGISTRATION RECEIPT. Please note that the Show cannot assume responsibility for loss of equipment. As an additional security measure we request that you attach an adhesive tape to each piece of your equipment with your last name marked, and a phone number. (This is an additional precaution in case a tag is accidentally separated from the equipment). The USED SALE area will be open from 4:00 PM to 5:00 PM on Sunday to pick-up your cash or any unsold equipment. Unsold items and cash proceeds MUST be picked up at EY Centre on Sunday evening by 5:00 PM. NO EXCEPTIONS. What happens if you DO NOT come back to claim unsold item/s or your cash proceeds? 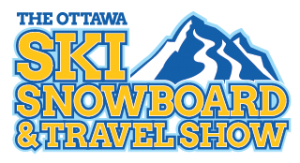 IF ITEM(S) DID NOT SELL and you DID NOT COME BACK TO THE SHOW to claim item(s), all unclaimed merchandise is donated to one of the ski non-profit associations at the show (i.e. Canadian Ski Patrol, etc.) Similarly all cash proceeds from sales will be forfeited. If you want the cash you have to pick it up at the Show between 4:00 and 5:00. No exceptions. We hope this answers your questions. We apologize for all the rules, but we have a lot of people to take care of and it’s the best system we have found so far! However, suggestions are always welcomed and considered!